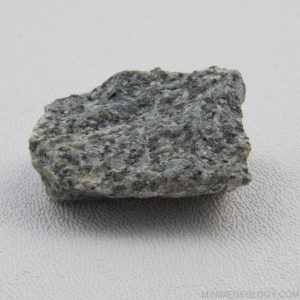 Diorite is an often gray, intrusive igneous rock. Major minerals include feldspar and hornblende. Diorite is medium to coarse-grained due to slow cooling underground.